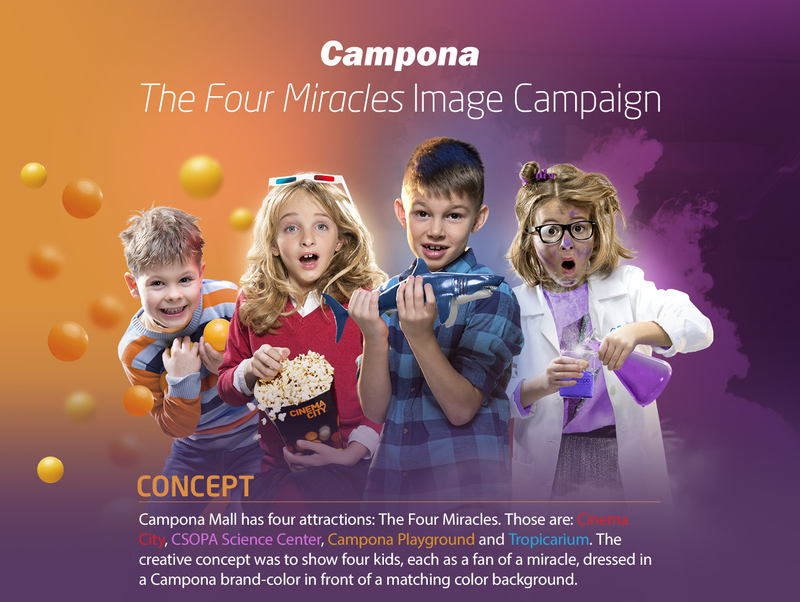 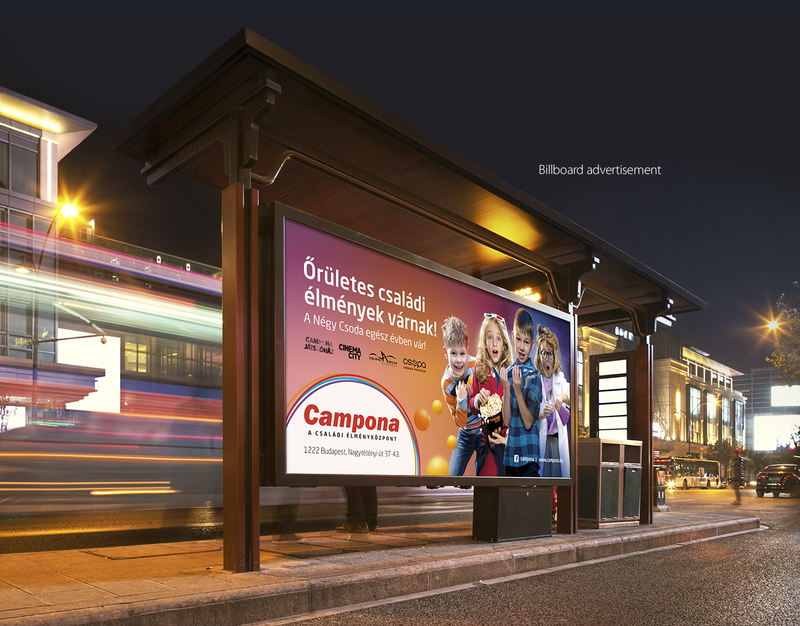 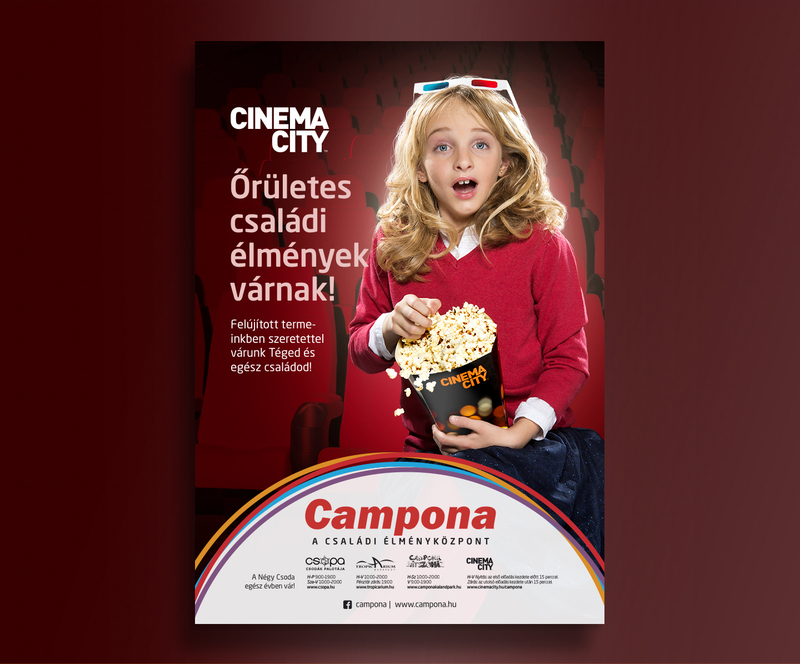 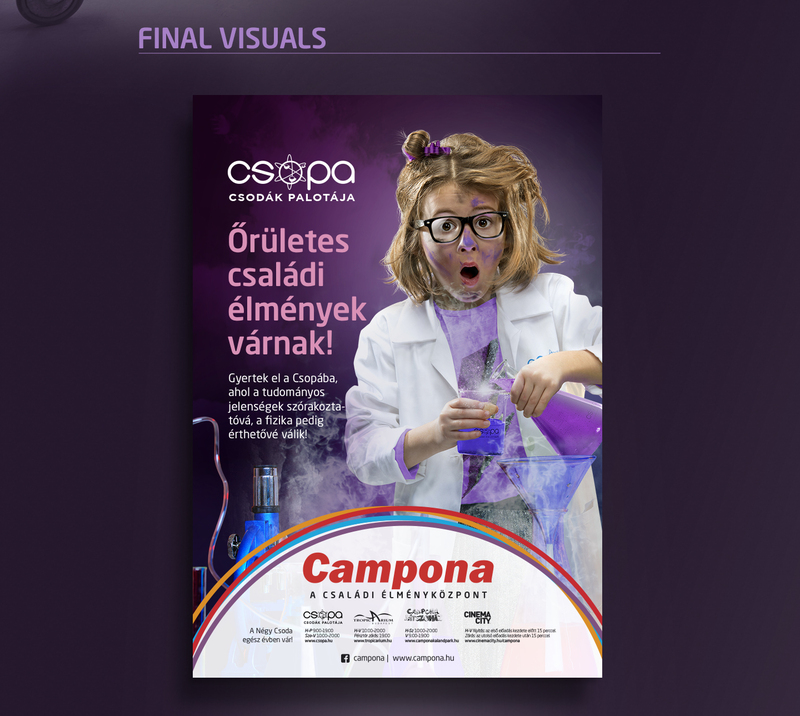 Image campaign to draw attention to the in house attractions of Campona shopping mall. 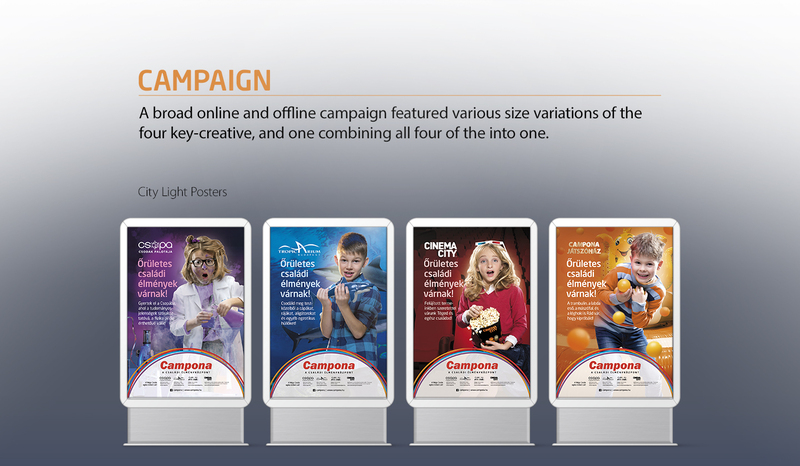 We had to create a campaign that appeals to kids and families. 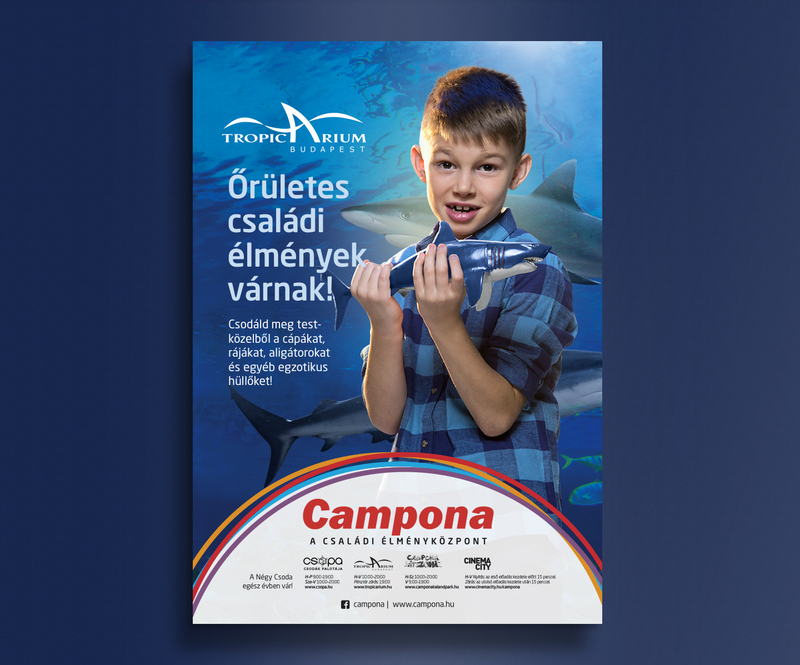 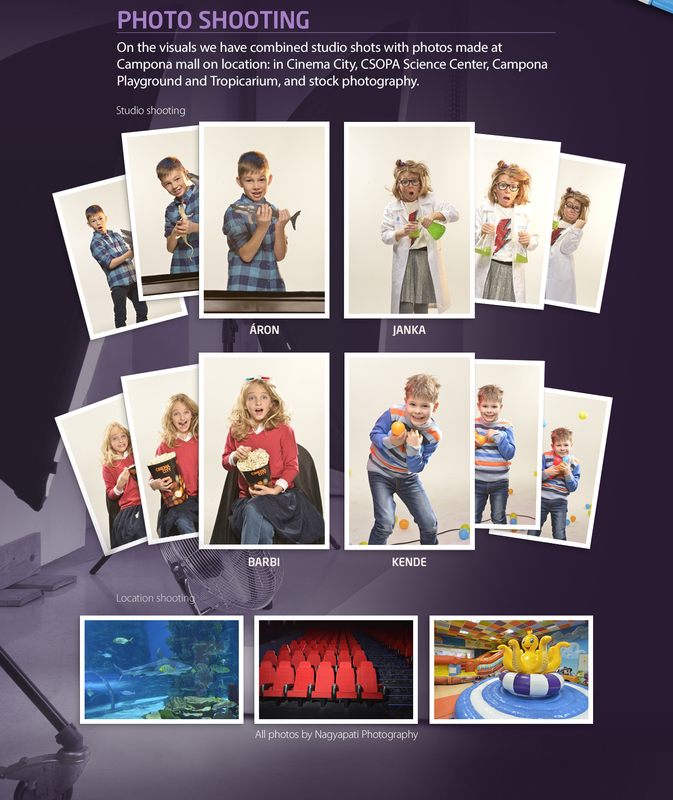 On the visuals we have combined studio shots with photos made at Campona mall on location: in Cinema City, CSOPA Science Center, Campona Playground and Tropicarium, and stock photography.